The purpose of the Street Lamp Project (Sokak Lambası Projesi/SLP) is to raise awareness about the importance of education among children who must work and go to school at the same time, and to help these children develop a strong identity and a true sense of belonging. SLP volunteers try to be role models in order to contribute to the children's ability to develop and meet goals for their future. Every Sunday, the SLP volunteer team organizes a different activity that is both fun and educational. Children are encouraged to take an active part, express their ideas, use their creativity and work as a member of a team. 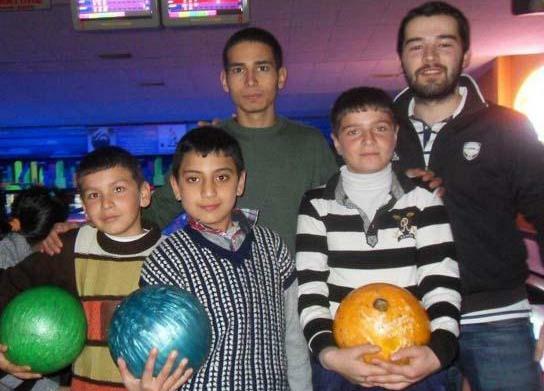 For example, on February 24, SLP volunteers went bowling with children participating in the project. The children not only had the chance to act as a team, but also learned to remain friends, even though they were rivals during the game. If you want to make an impression on a child's life, you are welcome to join SLP. For further information, you may contact Özgür Yalçın via e-mail: ozguryalcinozgur@gmail.com.